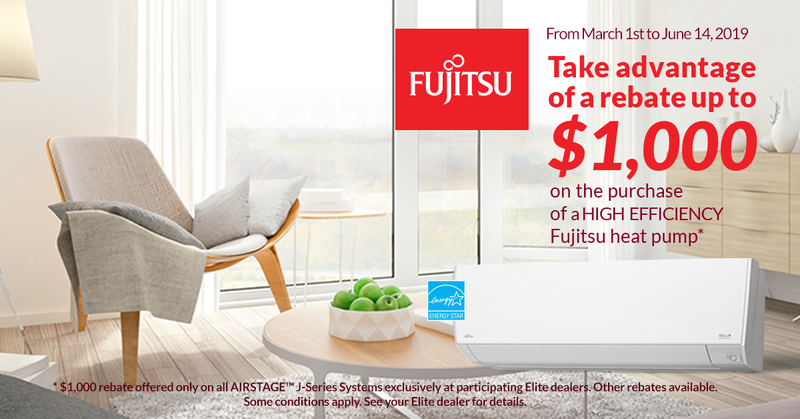 Since about 20 years, Fujitsu has become the number one brand for consumers seeking for the ultimate best in terms of comfort. You can rely on our network of certified Fujitsu dealers, professionals with the most in-depth technical knowledge to help you find the best unit suited for your needs and to install it according to the highest standards for unmatched performance and reliability. 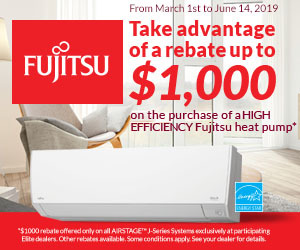 All Fujitsu products are covered by a 10-year parts and labor warranty, the best and most complete in the industry. Not surprising, because installing a high-quality, energy-efficient Fujitsu comfort system ensures maximum comfort for your family, in good or bad weather for years to come. Renowned for their performance, ultra-quiet operation and unrivaled reliability, Fujitsu wall mounted heat pumps guarantee true peace of mind. Fujitsu’s XLTH outdoor units are designed to provide comforting, enveloping warmth down to -26 °C, lower than any other model available on the market.